Mazda Certified, GREAT MILES 41,119! FUEL EFFICIENT 35 MPG Hwy/29 MPG City! Heated Seats, Sunroof, Keyless Start, Cross-Traffic Alert, Blind Spot Monitor, Onboard Communications System, Alloy Wheels, PREMIUM PACKAGE READ MORE! Heated Driver Seat, Back-Up Camera, iPod/MP3 Input, Onboard Communications System, Aluminum Wheels, Keyless Start, Cross-Traffic Alert, Blind Spot Monitor, Heated Seats. Rear Spoiler, MP3 Player, Keyless Entry, Steering Wheel Controls, Child Safety Locks. PREMIUM PACKAGE BOSE 7-Speaker Premium Sound System, SiriusXM Satellite Radio, free 4 month subscription, Power Glass Moonroof, Cargo Cover. 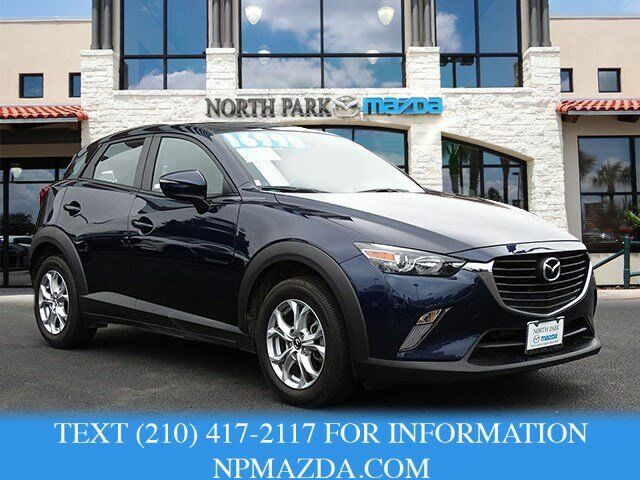 Mazda CX-3 Touring with DEEP CRYSTAL BLUE MC exterior and BLACK interior features a 4 Cylinder Engine with 146 HP at 6000 RPM*. Edmunds.com's review says "The 2016 CX-3's cabin shows excellent execution overall, with high-quality materials and a sleek dashboard that conveys style and sophistication.". Great Gas Mileage: 35 MPG Hwy.